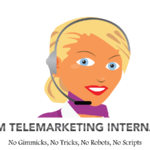 We can offer genuine and sincere telesales/telemarketing for your business. We offer all of the usual services associated with this including data cleansing, lead generation, appointment making, etc. We will work from your brief and script points and we will provide you with a 'campaign brief' document to complete for us with those relevant details. Providing you have a list in excel format of all the prospects you want us to target, we can do all the work for you. When working on the spreadsheet we always add a column into it for our comments, so we can document the outcome for each call with comprehensive notes. We data-cleanse as standard, establishing the correct contact person and details wherever possible. We use a simple to follow colour coded system to highlight records so you can easily identify the levels of status = interested, not interested, and potentialy interested records. We always guarantee to call 20-25 records per hour. We will provide a summary report after the complete session comes to an end, which shows the results in numbers, provides you with feedback and gives you an overview on how the session went. We have free calls to all landline numbers, other premium numbers and mobile numbers will therefore be at a cost to you. Everything else including internet etc is included in the price. Your brief, your expectations/desired results and your data you would like me to work from in excel format. I will send a 'Campaign Brief' template document for you to complete with the information we require. We received some decent results from the initial trial. No conversions or solid leads yet but happy with the work and quality of the feedback. As unable to work with our CRM or any files except excel limited the data we could provide. We were unable to provide the best quality data and this looks as though it impacted on the results. We didn't get the results we needed. Excellent work, will use again. Very sorry to say it did not work out for us. We seeded the call list just in case and it was a overseas company that called us when we want UK people. Looks like they outsource some of the work abroad to Asia. Sarah comes across very professional however was promised no scripts and what we got was a person with little English and was clearly following a script. I suggest you ask for UK call staff only and seed your data to check. Real shame as we thought we had found a good and honest company. I did try and clear this up with Sarah but she emailed me to say she was not well. We still have not heard from her but I am sure she will reply to us now. Fantastic work from Sarah. The information she provided about how each call went was very thorough. I certainly will use these services again. Many thanks!